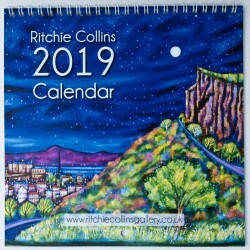 Calendar - 2019 Edition 2019 wall calendar comprises of a collection of 12 images by Ritchie Collins. 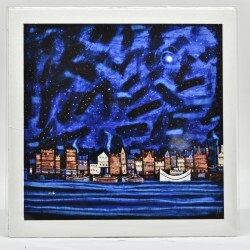 This is a fold open wire bound flip calendar. 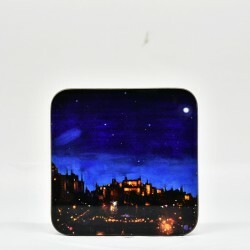 It is 210mm when closed and opens to 420mm, with an image at the top and dates on the bottom half. 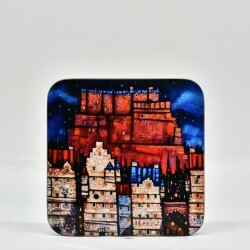 Printed and produced in Edinburgh. 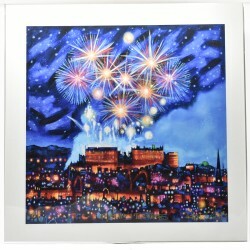 'Edinburgh Fireworks' is part of theCollections range, high quality individual giclee print from an original Ritchie Collins painting. 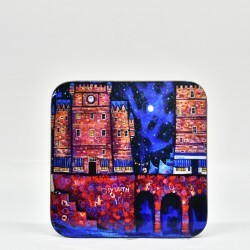 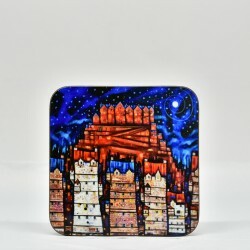 'Edinburgh Fireworks' is part of theCollections new range, high quality individual coaster printed from an original Ritchie Collins painting. 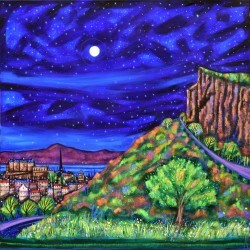 'Arthur's Seat Moon' is part of theCollections range, high quality individual giclee print from an original Ritchie Collins painting. 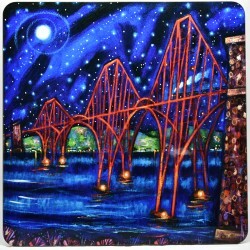 'Forth Rail Bridge' is part of theClassics range, high quality individual placemat printed from an original Ritchie Collins painting. 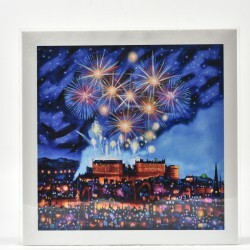 Also available in: Placemats Coasters Large Prints Magnets 'Edinburgh Fireworks' is part of theCollections range, high quality individual giclee print from an original Ritchie Collins painting. 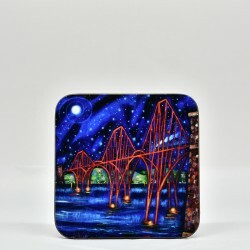 Also available in: Placemat Large Print 'Auld Leith Shore' is part of theClassics range, high quality individual giclee print from an original Ritchie Collins painting.